Lauren Roman is a sophomore at NMSU, currently working towards a bachelor’s degree in Creative Media. 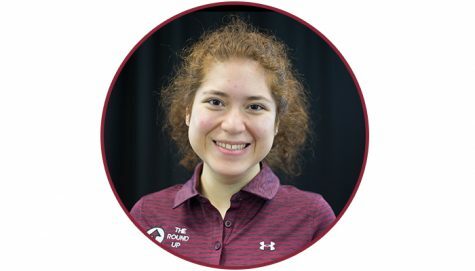 She was born and raised in Las Cruces, New Mexico and graduated from MVCS in 2017. During her high school years, she played Varsity Basketball and Tennis at MVCS and was involved in Spanish Club, serving as Media Director for three years. There, she was able to design posters and create short animations for upcoming Club events. She was also in yearbook, which gave her the opportunity to become a reporter for high school gatherings and clubs. Having grown up watching cartoons and Disney movies, Lauren quickly realized she could create films and shows of her own. She aspires to become an animator one day and wishes to develop her own studio. At NMSU, she is majoring in Animation and Visual Effects as a first step in achieving this dream and furthering her passion.